Solar Battery Charger Prank is the best solution to charge your phone, fast and environmental friendlly. No sooner does your phone has enough light than its battery is charged. In addition, thanks to quick charging technonoly, solar battery charging speed is faster than 70% compare with normal charging speed. 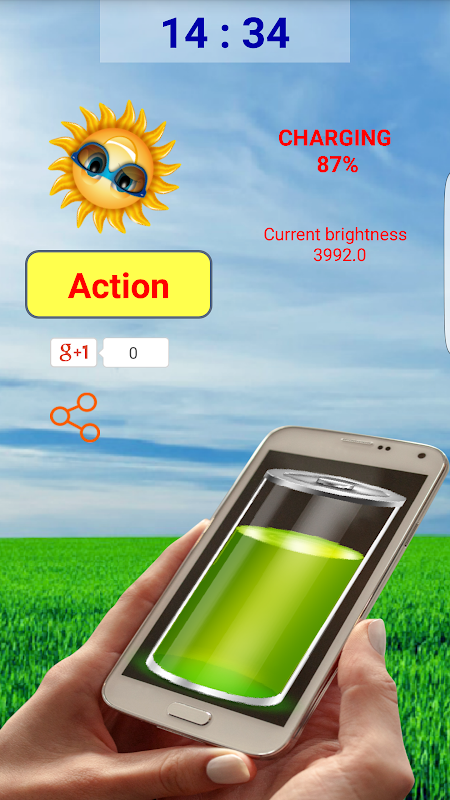 Completely free and no ads All that you want to do is place your phone under sunlight, then start Solar Battery Charger Prank, the application will charge automatically. 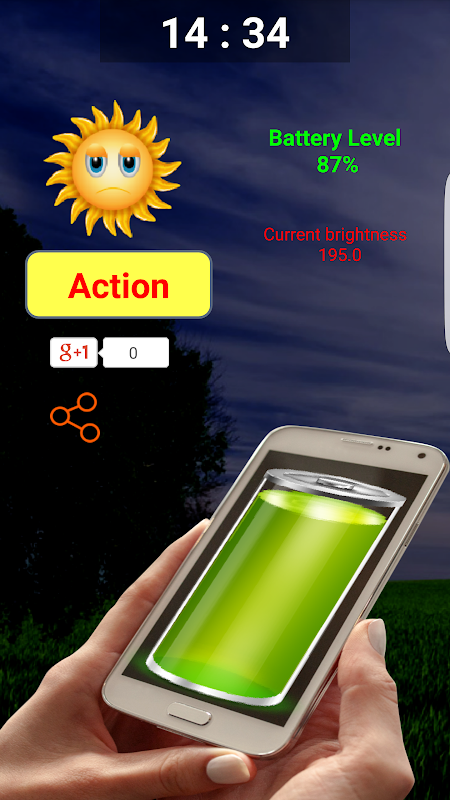 If sunlight measure larger than 300, your phone will be charged automatically. Solar Battery Charger Prank also intergrates with quick charging, supports your devices quick charging approximately 70% Features ☆ Solar quick charging ☆ Use light sensor with solar panel to quick charging your phone ☆ Show a notification when your phone is fully charged ☆ Wonderful charging theme, useful and friendly Note: The application is a prank. Please do not place your phone under sunlight to avoid being damaged.  Is Solar Battery Charger Prank yours? Claim it!